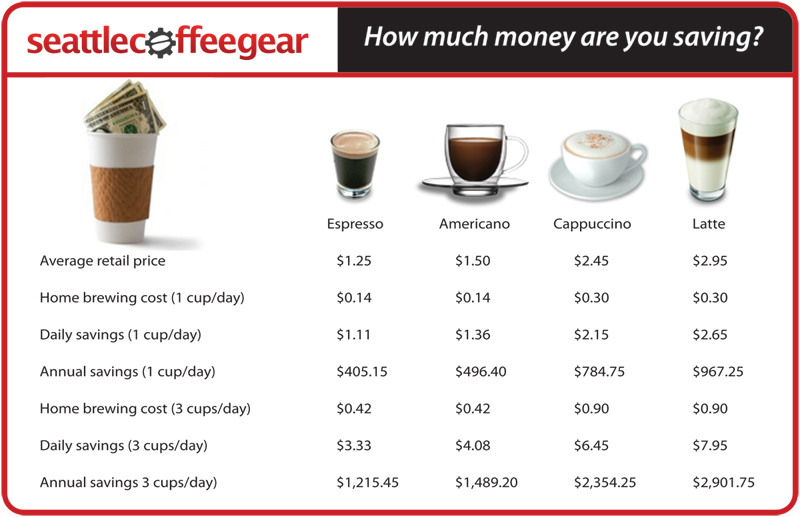 Once you've invested in your home espresso equipment, how much money do you save by crafting your java drinks at home? In this table, we've taken national averages of basic supply costs (coffee beans and milk, if applicable) and compared them against the cost of purchasing the same drinks in a cafe. Find out how much money you'll save each year by making your drinks yourself.